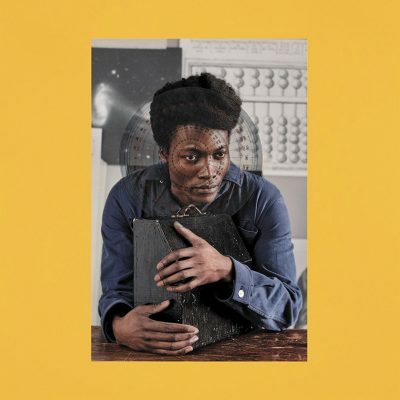 Benjamin Clementine. Remember the name. Clementine’s influence on music will be apparent to all of us sooner or later, but for now, let us enjoy the journey of what has all of the characteristics of becoming a cultural paradigm shift. In I Tell A Fly, Clementine continues to explore and develop the burlesque troubadour sound he left us with on his critically acclaimed debut album, At Least For Now. The title is almost prophetic, listening to his new record now—Clementine still had and continues to have much more left to give. I Tell A Fly can be divided into two main parts. The first half offers pieces that are much more avant-garde and theatrical than the second half. With the first half culminating in “Phantom Of Aleppoville,” Clementine explores some undeniably personal subject matter. In the track he uses his experience of being bullied as a kid as the main concern. The piece is completely through-composed, and Clementine stacks sections on top of sections without returning to any of them once he has left them behind. The last section of this song is easily the peak moment of this album. The second half of I Tell A Fly feels more like a collection of isolated portraits rather than one big cohesive picture. The songs are mostly shorter and less abstract. They have steady beats and less drastic contrasts between sections. The sixth track on the album, “Jupiter,” is likely the most pop piece in the collection, almost sounding like something out of John Legend’s Love In The Future. The songs on this last half also feel more uplifting than the ones on the first half, due to more use of synthesizers and simpler chord progressions and structures. Clementine’s piano playing is splattered all over the album. His style is rooted in classical training, which often makes his music sound a lot like Nina Simone’s. On “Paris Flies By,” we begin with some fast arpeggios in the upper register. At the end of this piece we hear what sounds like Clementine playing a modified version of Claude Debussy’s “Claire de Lune” over a muffled electronic drum beat. On “Quintessence,” the piano part sounds much like a Chopin Nocturne. Clementine also employs the harpsichord through the majority of this record, and it is this, combined with synthesizer bass and pads, that creates the sci-fi baroque palette that is so endemic to his music as heard on songs like “Ode From Joyce” and “Awkward Fish.” Add to all of this a powerful, skillful and emotional vocal delivery as well as poetic language full of depth and wit, and you’ve got yourself a fantastic record.